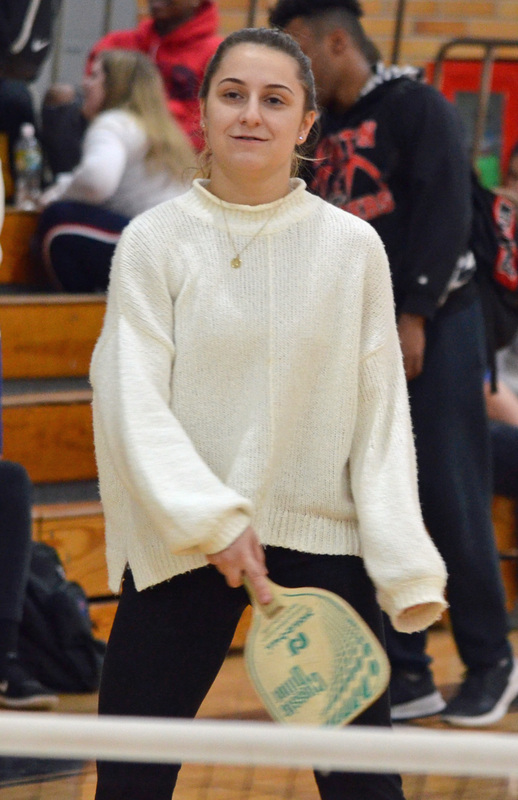 Durkin, Dauti, Hughen rule Pickleball Tournament – W.A.M.P.U.S. 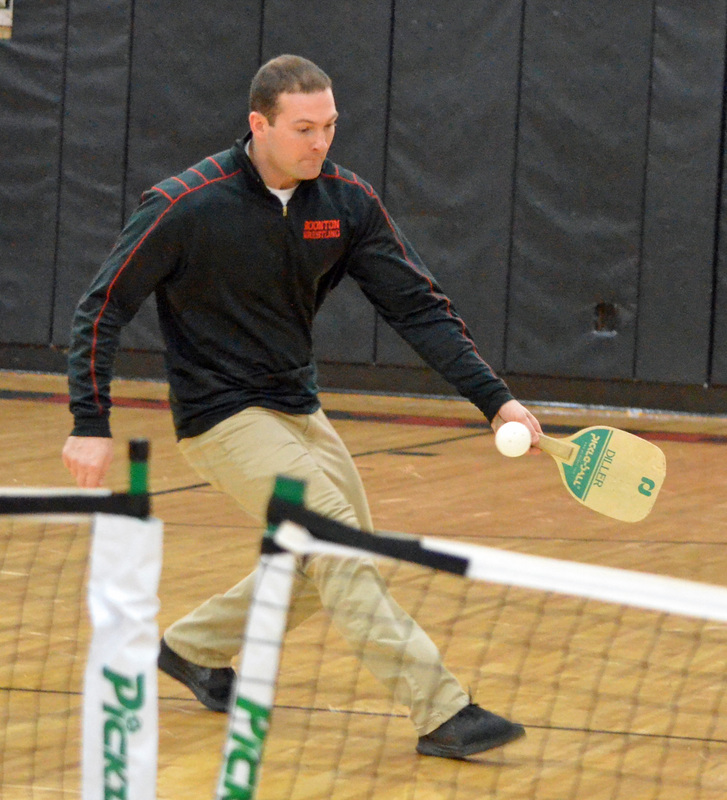 Chad Durkin didn’t doubt himself but didn’t feel confident, either, about his semifinal match in the BHS Pickleball Tournament. 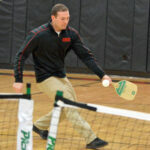 A battle against Stefan Repic, who plays first singles for the boys tennis team, loomed and Durkin, whose only experience with pickleball was in gym class, was a bit unsettled. If Durkin survived, great. If not, he figured it would be an accomplishment to have been one of the last four players standing. 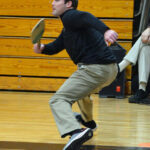 Durkin, though, snagged a one-point victory, edging Repic, 9-8, in the semifinals on Wednesday, March 13. 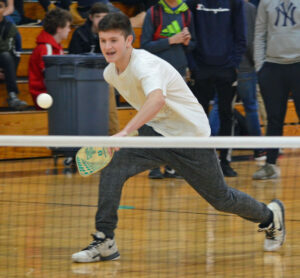 Shortly after, Durkin, a standout soccer goalie, defeated Qusay Abuawad in the final to claim the boys championship. 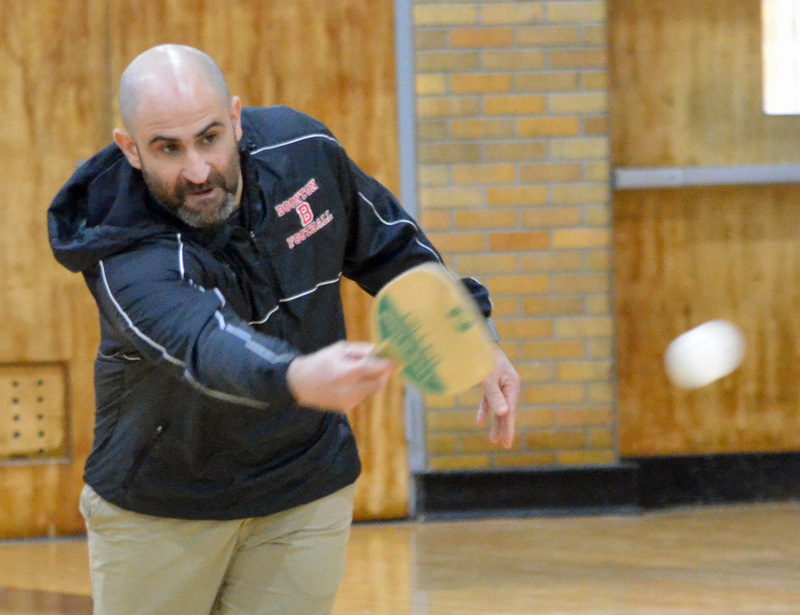 Chad Durkin gets set to make a backhand shot at the 2019 BHS Pickleball Tournament. Of all the players he ousted en route to the title, Repic was the one that proved most difficult. 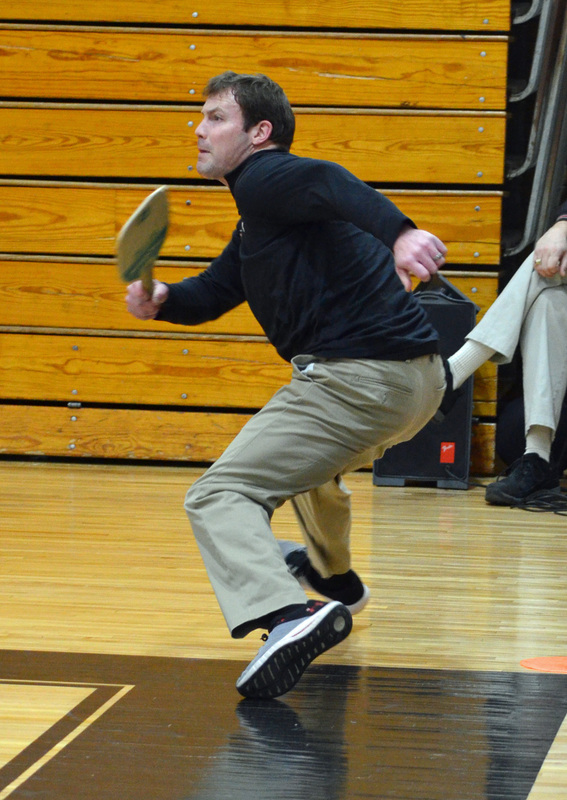 Mr. Hughen, the athletic director, emerged as the top player among the faculty, beating Mr. Gallagher in a hard-fought match. 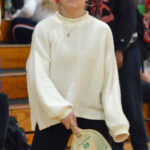 Ailina Dauti finished atop the girls field. 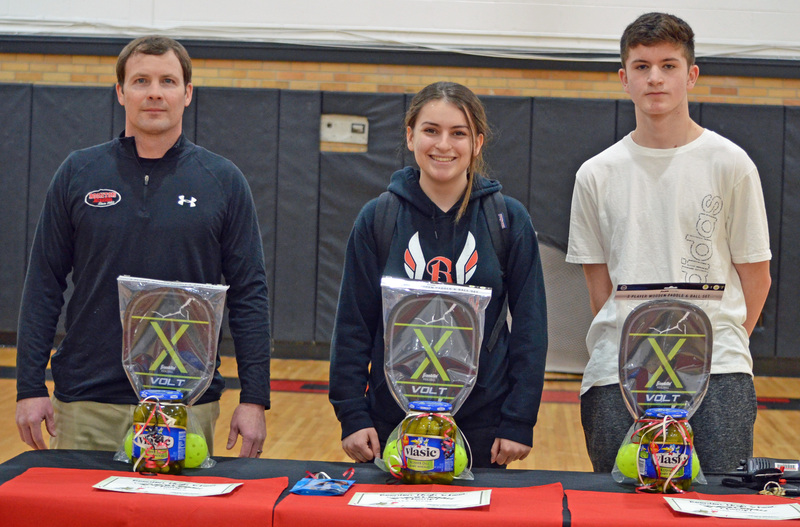 The winners of the SRA-sponsored tournament received pickleball paddles, balls and a jar of pickles. 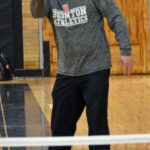 For Hughen, like Durkin, it was a rough road to the final. 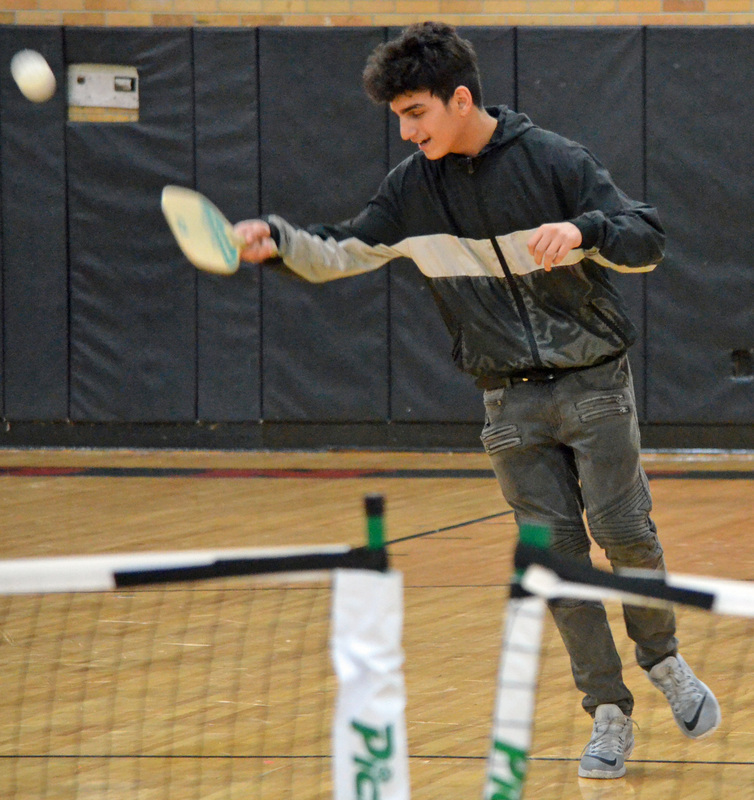 He recalled a down-to-the-wire match against Mr. Klebez in the first round. 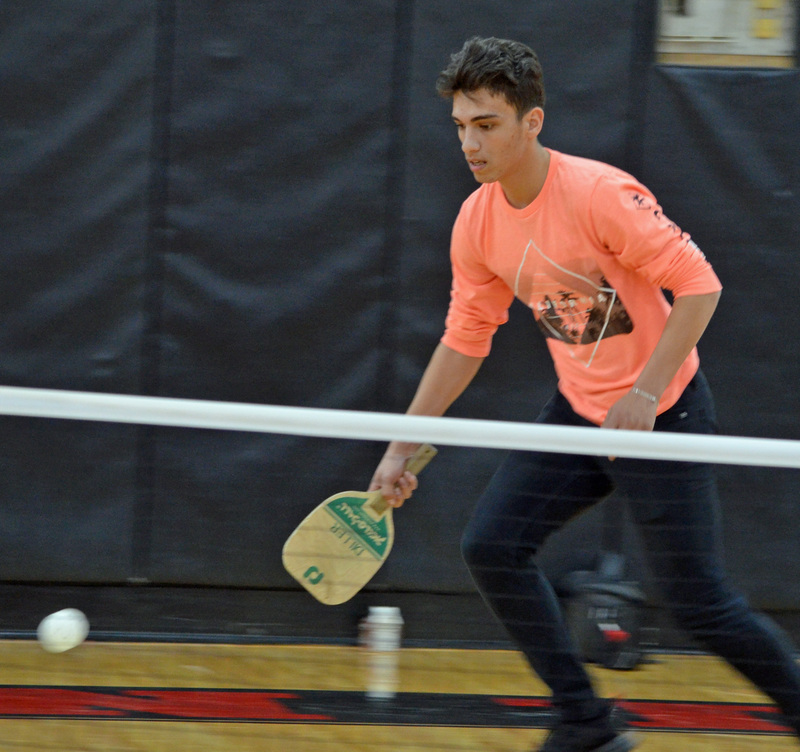 Dispatching Gallagher to secure the championship was no easy task. 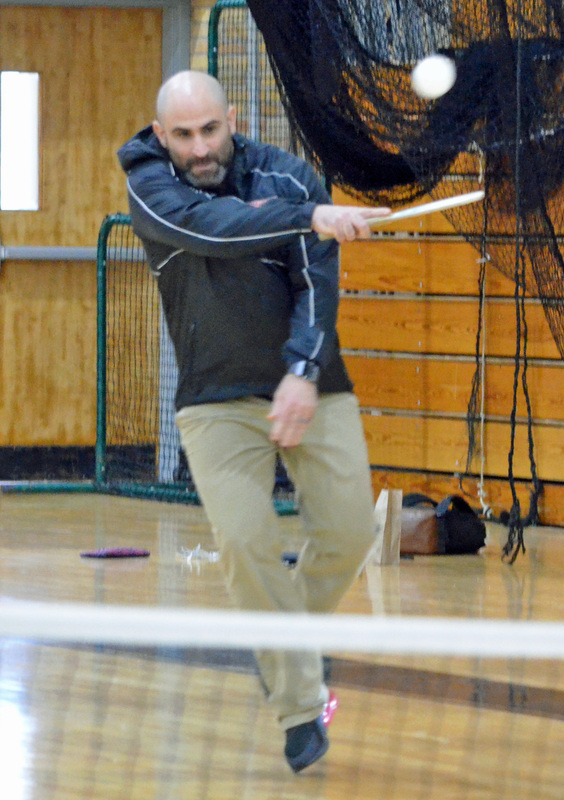 The two engaged in an all-out, hard-fought battle before Hughen walked away triumphant. 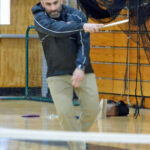 The faculty semifinals pitted Hughen against Mr. Mafaro and Mr. Engleberger clashed with Gallagher. 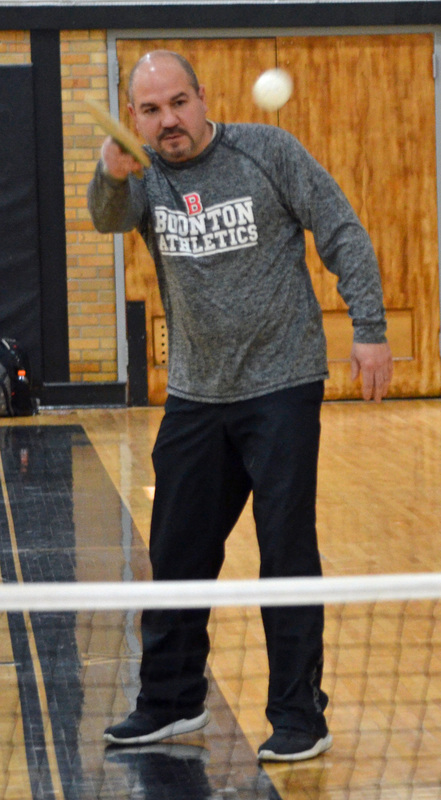 In late February, Durkin was a member of MUFC, the winning team in the la Copa de BHS.